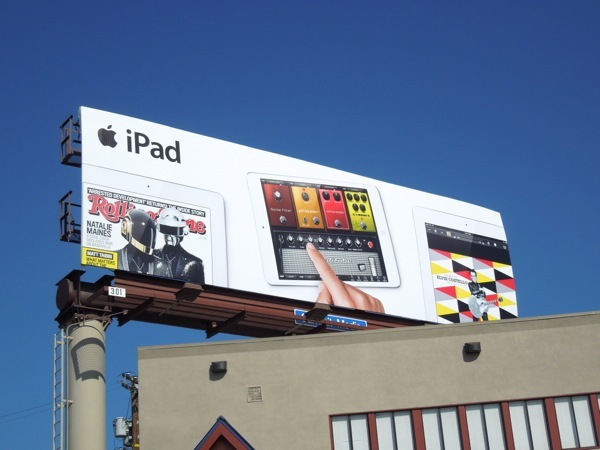 There's a new iPad on the way and we know Apple's tablet comes in regular and mini sizes, but this new wave of billboard ads really does reinforce that this marvel of modern technology can do it all for you. 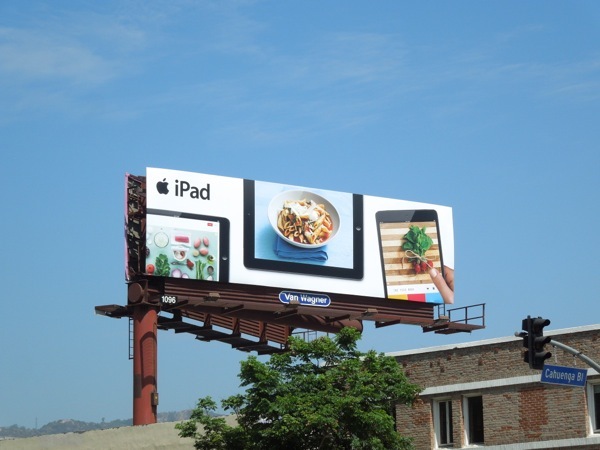 Just looking at these ads makes you think of all the products and industries that have been made obsolete by the advancement and converging of technologies. Who needs a bookshelf of novels when you can literally have hundreds and thousands digitally at your fingerprints (although let's face it they don't smell or feel the same)? 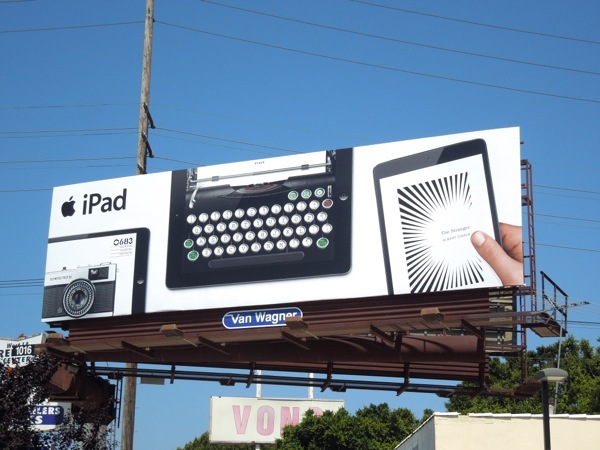 Who needs a typewriter, or a PC for that matter, when you can do so much on a tablet, from send an email to write a report? 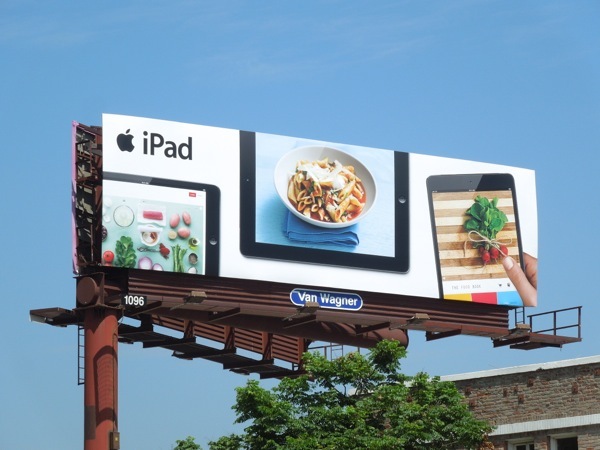 And who needs a separate camera (unless you're a professional photographer), when every smartphone and a variety of tablets come with them built in (although it still looks incredibly odd when people hold up their iPad to take a photo)? You look at once proud brand powerhouses like Kodak and Blockbuster, and industries like the music and publishing businesses, and wonder who will be next to become a dinosaur, who hasn't moved with the times, or more importantly predicted the future? Who needs a traditional cookbook or a monthly magazine when so many recipes are available almost instantly on the internet? 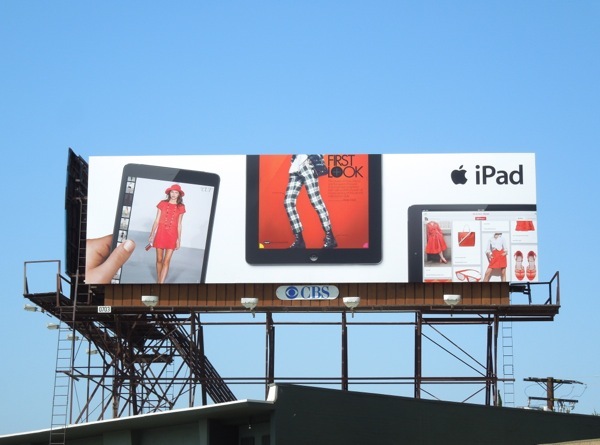 Who needs a paper catalogue, or to even go to the shops, when you can shop online for your latest looks and best fashion buys? Yes, things have certainly changed significantly in the past few years and things keep changing at a faster and faster pace in the technology and telecommunications markets. 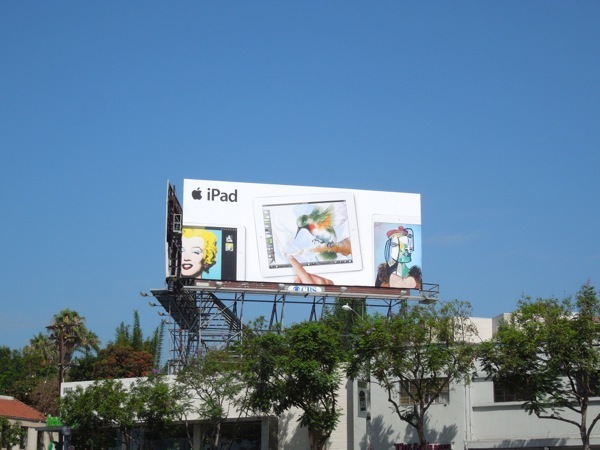 Will Apple be able to keep ahead of the curve and continue to innovate now that Steve Jobs is no longer with us, or will some challenger, like Samsung, leapfrog over them and blaze a new trail? 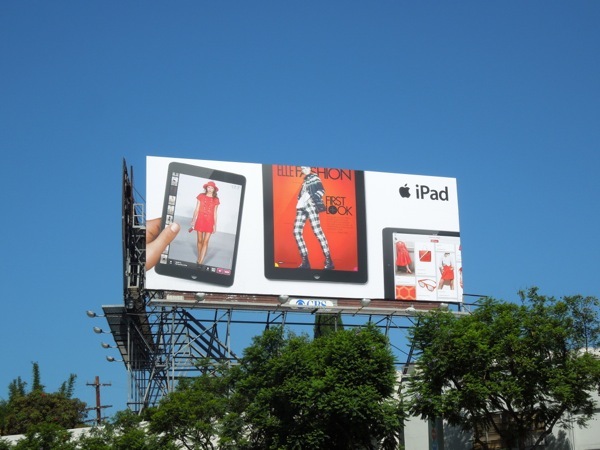 Only time will tell, and probably sooner rather than later, but for now we can continue to enjoy their consistent brand imagery which works as well as ever to position their iPad as the 'only' tablet out there for everyone, capable of doing pretty much everything, from reading to creating to shopping, and more besides. 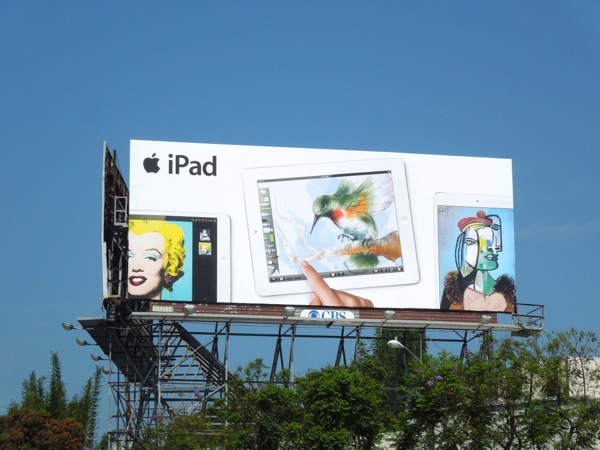 These bold new Apple iPad billboards were spied along the busy commuter belts of Sunset Boulevard, La Cienega Boulevard and Santa Monica Boulevard from July 9 to July 13, 2013. 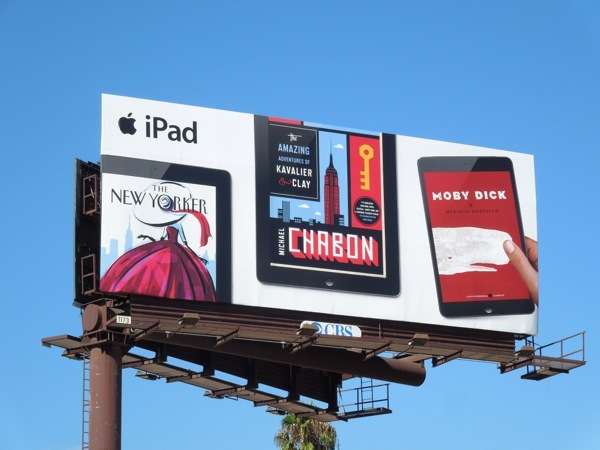 If you like these vibrant billboards, be sure to also take a look at Apple's previous iPad ad campaigns from around the streets of L.A. and New York. 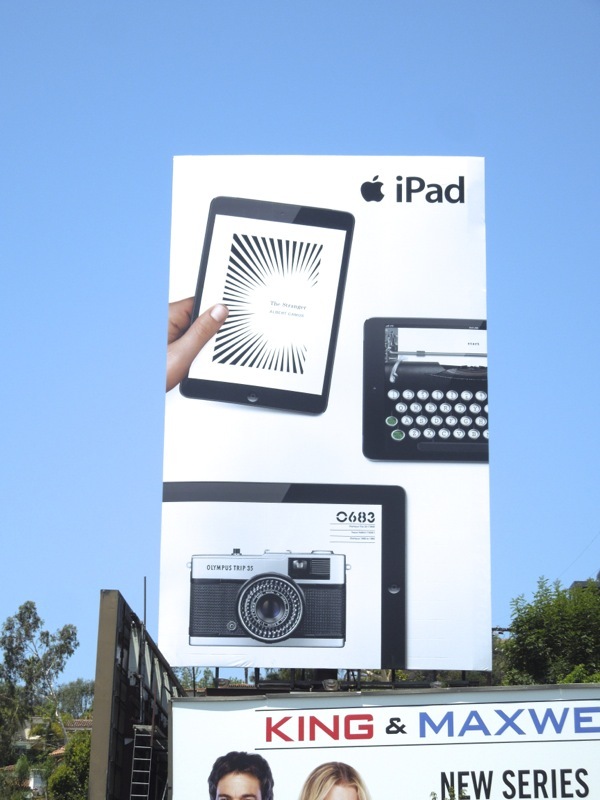 UPDATED: Here's a new wave of creatives, formats and reworked designs for this latest batch of iPad billboards spotted around the sprawling city from August 15 to August 18, 2013. 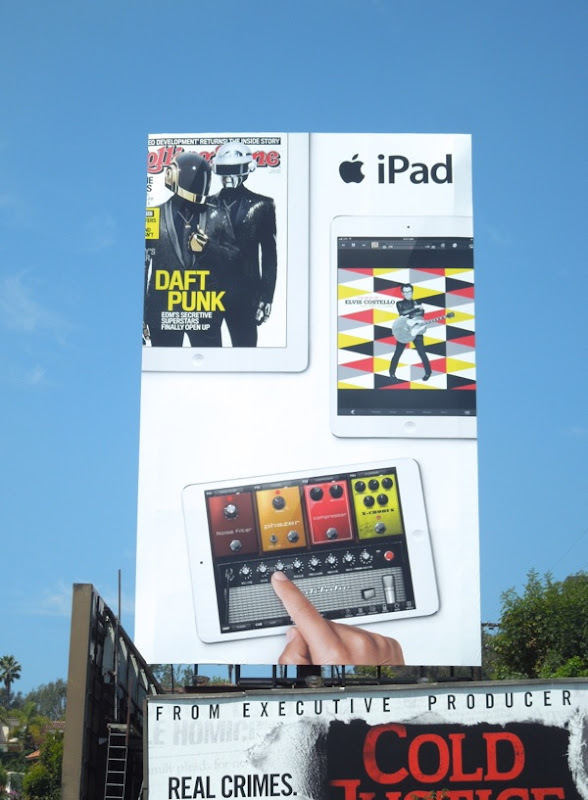 There's nothing like staying current with a nice creative of musical electro-pop duo Daft Punk creative to grab the attention of passersby. 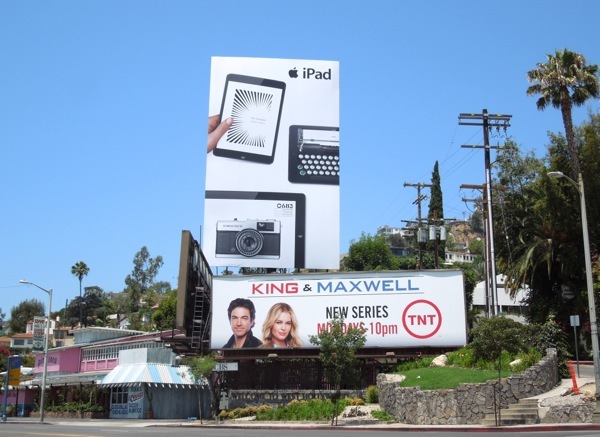 A special shout out to the L.A. based TBWA\Chiat\Day advertising agency for producing these on-brand creatives for Apple. 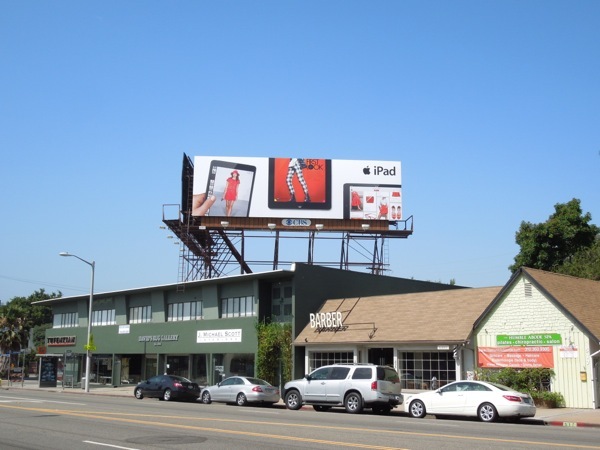 Remember if you see your design or ad agency work anywhere on Daily Billboard, be sure to get in touch and we'll be delighted to give credit where credit is due.